Bishnupur Utsav 2012 Dates Schedule Timings, Attractions details of Bishnupur Utsav, Best cheap low package tour contact address phone number of Kolkata for Bishnupur Utsav 2012, West Bengal Tourism Centre tour package price expenses dates booking process Bishnupur Utsav 2012. Christmas Holidays and Winter Seasons mean the tour & travelling season for us. We all in these days, normally look for cheap yet extraordinary tourist venues nearby Kolkata to have a short tour. Bishnupur Utsav is one of those cheap tourist locations nearby Kolkata for spending only few days with full of entertainment. Bishnupur Utsav details: Bishnupur of Bankura district in West Bengal, is always a treat to tour. 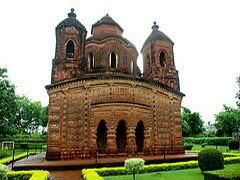 So many of historical temples located there in Bishnupur along with beautiful clay arts. Bishnupur Utsav 2011-2012 is between 28th December 2011 to 30th December 2011. Bankura-Bishnupur is also famous for producing popular Singers of Bishnupur Gharana. Bishnupur Tourist Spot of West Bengal can be reached easily from various parts of Bengal and outside by Train Routes, Bus routes and also so many Tour & Travel Agencies of Kolkata & Bengal provides cheap tour package for Bishnupur Utsav every year. But it’s always recommended to tour with authorized tourist service providers and the details of authorized tour operators of Kolkata & Bengal has been mentioned below. West Bengal Tourism Centre provides the exclusive tour to Bishnupur Utsav every year and those who want to book tour packages of Bishnupur Utsav at WB Tourism Office should contact at 3/2, B.B.D. Bag (East), Near to Steffen House, Kolkata-1 or just Call at 033-22437260 / 033-44012659 numbers or visit at www.westbengaltourism.gov.in website for getting the information about the Bishnupur Utsav Tour Package Price and dates. Andaman-Nicober Islands of India is one of the best Tourist Spots in India that attracts so many visitors from Kolkata, Bengal, India and International Countries. There are two routes to Andaman-Nicober from Kolkata, Bengal – Air Route and Shipping Route to Andaman-Nicober from Kolkata. • Voyage No.532 will leave Andaman on 2nd February 2011 and will reach Kolkata Port on 4th February 2011. • Harshbardhan Ship (Voyage No.836) will leave Andaman Port on 19th Feb and will reach Kolkata Port on 22nd Feb 2011. Tickets of Andaman-Kolkata Ships are available at SCI Counters from 21st January 2011 and Advance Shipping Ticket Booking facility is available. Don’t forget to carry Voter ID Card / Passport etc during the journey Kolkata-Andaman via Ship due to security reasons. Kolkata-Andaman Shipping Ticket Counter Address in Kolkata: Tickets of voyages from Kolkata-Andaman and Andaman-Kolkata can be collected at SCI Ticket Counters in Kolkata. The address as mentioned below. Shipping House, 13 Strand Road, Kolkata-1. Kulu Manali is the Himachal Pradesh’s Paradise and the location of Kulu Hill Station is nearly 1200 meters above sea level. Himachal Pradesh Tourism has really developed the condition of the beautiful hill station Kulu of H.P. in recent years. That who loves River Rafting, Rock Climbing and Trekking, Kulu is the paradise for those tourists. Kulta, is the ancient name of Kulu Tourist place, which is found in Vishnu Puran, Ramayana and also in Mahabharata. In a Chinese book Kiu-Lu-To of Seventh Century, the name of Kulu (HP Tourist Spot) is mentioned. One of the attractive Hill Stations of India, Kulu is situated nearly 117 miles Northeast to Jalandhar. What are the other tourist places (locations) to visit while touring Kulu Tourist spot in Himachal Pradesh of India? There are so many of interesting tourist spots in Kulu to visit. Here are the details of the nearest tourist locations to Kulu-Manali that can be included in your Kulu-Manali Tour Package plan every year. Larji Tourist Spot near Kulu – Within 30Km (South) from Kulu Larji fishing spot situated. Raghunath Temple Tourist Spot near Kulu – Near to Dhalpur Valley of Sultanpur, the Raghunath Temple of Kulu located and attract many tourists during Dushera Festival of India. Bijli Mahadev Shrine Temple Tourist Spot near Kulu can be reached by trekking from Kulu (10Km distance maximum). Beautiful scenery of Kulu and Paravati valley and the glittering Idol of Bijli Mahgadev will please tourist’s eyes. Tourist Spot near Kulu, Banjaar is located on the bank of river Trithan and known for trout fishing in Kulu. Vaishno Devi Temple of Kulu is situated within a distance of 4km from Dhalpur, Himachal Pradesh. Vaishno Devi Idol makes Kulu one of the religious tourist places in India. Bajuara Tourist Spot near Kulu – Place with ancient monument that was built in Eighth Century and located in the plain land of Kulu tourist spot, which makes most easily reached tourist place to visit near Kulu. Basheshwar Temple, Kulu is another attraction of this Bajuara Tourist Spot near Kulu. Malana Tourist Spot near Kulu is located near Chandrakhani pass and known for oldest democracy in the world. Malana tourist spot of Kulu can be reached during the trekking from Kulu to Manikaran. Katrain Tourist Spot near Kulu is the place to visit apple orchards; bee keeping and Government trout farm in Kulu and located at Patilkulh near Kulu of H.P. Nagger Tourist Spot near Kulu can be visit during Kulu-Manikaran Trekking. Naggar Tourist Spot of Himachal is known for Vishnu Temple, Tripura Sundari Temple, Lord Krishna Temples and famous for Roerich Art Gallery of Kulu in Himachal Pradesh. Tourist spot near Kulu, Kasol is located on the bank of Parvati River and valleys make it more special. Kasol, Kulu is also known for the place for trout fishing in Kulu Himachal, India. Camping Sight Raison Tourist place near Kulu is famous for beautiful hills, valleys consisting of apple orchards. Tourist Place near Kulu, Manikaran – Manikaran tourist spot of Himachal can be reached by trekking from Kulu covering other beautiful Hill Locations like Zari, Malana, Chandrakhani Pass etc. The distance between Kulu to Manikaran is about 45 Kms. Tourist place Makikaran, Kulu, Himachal, India is popular for hot bath in Kulu’s natural hot water reservoir named Hot Spring (Kumbh of Kulu). Are you excited to visit Kulu Hill Station of HP? Here is the path to Kulu / ways of Kulu / transportation routes to Kulu tourist spot of Himachal to reach Kulu – Manali hill station of India easily from other locations in India. Tourist place Kulu is connected to all other Indian Airports by different flights to Kulu at Bhutnar, which is the nearest airport of Kulu, Himachal (10kms from Kulu). For further details on Kulu Flights, Chandigarh Flights, Flight Timings and Kulu Flight Ticket charges please visit personal websites of different airways companies. Jogendra Nagar is the nearest Railway Station to Kulu, Himachal. But, express Train generally ends at Railway Station Kalka of Chandigarh and at Railway station Pathankot. Tourist can take Trains to Kulu from Pathankot to Jogendranagar to reach the nearest location of Kulu. Please visit Indian Railways official website to know the details of Train to Kulu – Manali tourist places of Himachal Pradesh. Deluxe, semi-deluxe and air-conditioned luxury buses to Kulu (Himachal) connect Kulu tourist spot with Chandigarh, Shimla, Dehradun, Pathankot, Delhi, Ambala, Dharamsala and Dalhousie etc. Transport of Kulu, Himachal is excellent because of regular Bus services in Kulu to Malani, Manikaran along side Taxi Service and private Cabs (cars) during the tourist seasons. If you are thinking where to stay in Kulu during your tour, then its recommended to book hotels in Kulu online or by personally visiting nearest branch offices of hotel booking in your city. There are so many of hotel, resorts and guesthouses in Kulu starting from Rs.300/- per day. Some Hotels offers discounts in Hotel Booking at Kulu during off-season up to 30%. It’s very essential to know the right time to visit a hill station like Kulu, which is, located so above than sea level. It’s recommended to visit Kulu during March to June months (Peak season time in Kulu Manali) for visiting every sight seeing locations along with Trekking in Kulu, River rafting in Kulu and Rock Climbing in Kulu. But, during the winters Kulu is covered with snow and those want to see Snow Falls in Kulu (Himachal) and want to do skating on snows in Kulu may tour Kulu in winter seasons (it’s risky). King Mahmud Shah Khilji was the creator of Asharfi Mahal, which was established by the ascendant of Hoshung Shah for providing the education to the Muslim Community and supposed to be the first (1st) Madrasa of India (School for Muslim community). Mahmud Shah Khilji established historical tourist place Ashrafi Mahal after King Khilji won the battle (war) from Mewar by Rana Kumbha. The structure of Ashrafi Mahal (Palace) was of seven-storyed pillar. But, nowadays, if any one visit Ashrafi Mahal then would only get to see one pillar of Ashrafi Mahal, historical tourism palace of India. As per the information; King wanted to keep his women to be fit, slim and attractive. For this reason, King used gives Ashrafi (Ashrafi meaning Golden Coin) as gift to those women who successfully climb up and down 200 stairs of Ashrafi Mahal. Location of Ashrafi Mahal (Tourist Place of India) is in Madhya Pradesh and there are so many of Paths to Ashrafi Mahal of M.P. from other locations of M.P. and other Indian States via Railway, Buses and flight routes. So, be ready to visit Ashrafi Mahal and try to climb those stairs. Jahaj Mahal in Mandu, Madhya Pradesh is a famous tourist spot, which was created in the shape of a Ship (Jahaj) covering 120 meter long distance. The Jahaj Mahal (Ship Palace) is created by Gayasuddin Khilji. The location of Jahaj Mahal in Mandu (M.P.) is in between of Kanpur Talab (Lake) and Munji Talab (Lake). It's came to know from various books that King Gayasuddin Khilji had created Jahaj Palace in Mandu to fulfill Khilji's Sexual desire and Khilji used Jahaj Mahal as harem that kept about 15000 women. Anyhow, the time has changed, you could visit to Jahaj Mahal, Madhya Pradesh by various Routes and can see the excellent creation of a Ship sailing on lake virtually. Mandu, one of the famous Tourist Spots in Madhya Pradesh, is known as Capital of Mughal King's physical pleasure and Mandu is also famous for historical love story of Queen Roopmati and Baz Bahadur, a poet prince. The essence of love Mandu is located nearly 2000 feet above the sea level and ruled by Parmars in 13th Century. Later Mughal Samrats renamed Mandu to Shaydiabad that means a place of pleasure or joy. The Location of Tourist place Mandu of Madhya Pradesh is beside Narmada River. Mandu Tourist Places to Visit? Jahaj Mahalin Mandu, King Hoshang Shah’s Tomb in Mandu, Asharfi Mahal of Mandu, Hindola Mahal at Mandu, Jami Masjid of Mandu, Lohani caves in Mandu, Rewa Kund Mandu, Poet King Baz Bahadur Palace, Queen Roopmati’s Palace in Mandu, Hathi Mahal at Mandu, Echo Point in Mandu. Route Map of Mandu Tourist Spot of MP, India? How to Reach Mandu, Madhya Pradesh? Historical place Mandu is about 100KM from Indore Airport and from the Indore Railway Station. There are many Bus routes to Mandu available from other locations of Madhya Pradesh. Those who love to see historical creations should Visit Mandu Tourist Place in India and can see the architectural work done by Indian Mughal King's. So, make a trip to Mandu via Madhya Pradesh Tourism. Total of 36-Islands exists in Lakhshadweep that is another Union Territory of India other than Andaman & Nicober Islands. Lakshadweep Island is situated on Arabian Sea and at a distance of only 300 Km from Kerala, India. 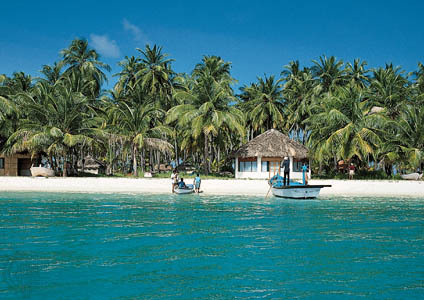 • Lakshadweep Island covers nearly 32 square Kilometers. • The Capital of Lakshadweep is Karavatti - all Governmental Offices are situated at Karavatti, Lakshadweep, India. • Mother Tongue / Local Language of Lakshadweep is Malyalam and Mahl. Where is Lakshadweep Island? How to Reach Lakshadweep Island? Route Map of Lakshadweep Islands India? Since, Lakshadweep is a group of Islands on Arabian Sea air route to Lakshadweep Islands Lakshadweep's Airport is Agatti from where AirIndia Airlines and other Private Flights regularly fly to Cochin Airport of Kerala, India. So, tourists can visit Lakshadweep Island by flights to Kochi-Lakshadweep. Only 20-hours of Journey to Lakshadweep from Kochi Sea Coast of Kerala through Shipping Services to Lakshadweep from Kochi. Though during the Monsoon Season, all the Sea routes via ships are cancelled. Only 4-Islands are open for Indian Tourists to visit Lakshadweep Islands and they are Kalpani Island, Karavatti Island, Minicoy Island and Kadamat Island. But, Foreigners means Foreign Tourists only 2-Islands are open for Touring in Lakshadweep and they are Banjaram Island and Kadamat Island. Lakshadweep Islands are full of palm trees, greenery and enchanting Sea Beaches. Tourists can eat various types of fishes and can watch the Occupation of Lakshadweep Citizen's that is Fishing. Exciting Sea Beaches of Lakshadweep Islands is one of the best tourist spots of India and attracts tourists at a large number every year. Find latest Lakshadweep Tour Packages from Kolkata, Bengal. The largest combination of Islands Andaman and Nicobar is consist of 306 idyllic islands on the Bay Of Bengal, few miles of distance from West Bengal's Southern part. Union Territory of India, Andaman and Nicobar Islands are the submerged mountains that are ranged from Myanmar to Indonesia. The head quarter of Nicober Island district is Car Nicober, which consists 28 islands, and total of 1841 square Kms. Car Nicober of Nicober Islands is separated from Andaman Islands by the world famous 10 Degree Channel in Bay of Bengal. How to Reach Andaman and Nicobar Islands? Where is Andaman and Nicober Islands? Location of Andaman & Nicobar Islands? Andaman & Nicobar can only be reached by ships or by Airways to Port Blair Airport. But, Only the Sea Routes to Nicober Islands from Andaman Islands is available from the Capital of Andaman, Port Blair. There is Andaman - Nicober Islands Ship Service available to cover up the 16-hours journey to Nicober from Andaman Islands. Tourist Places Spots in Nicober Islands? Andaman Nicober Tourist Spots Sea Beaches Trip Visit Packages? Andaman Nicober Islands is a dream paradise for tourists who love Sea Beaches. There are many small and big Sea Beaches in Andaman Nicober having clean fresh pollution free and virgin sea beaches in Andaman Nicober. Tourist Spot Indira Point that is also popular as Pygmalion Point located in the southern-most tip of India. Distance between Indira Point and Andaman Port Blair is nearly of 50-60 hours by Sea. There are many other attractive tourist spots in Andaman Nicober Island to visit and one of them is Katchal Sea Beach Tourist Spot of Andaman Nicober Islands. Find latest Andaman Nicober Tour Packages from Kolkata, Bengal. Tags: Andaman Nicober Sea Beaches, Car Nicobar Indira point Islands, Katchal Nicobar Islands India West Bengal, Tourist Spots Andaman Nicober, Union territory, Tour packages Andaman Nicober Kolkata Bengal, Route map location andaman nicober islands. Puri, Orissa is a very popular beach and religious tourist spot in Orissa. Tourist place Puri is known for it's panoramic colorful sunset view at Puri's sandy beaches as well as for pilgrim tourist place for the Temple of Jagannath Balaram Subhadra. Many of the tourists visit Puri Dham of Orissa to do the both religious visit at Jagannath Temple in Puri and to enjoy romantic life at Puri Sea Beach. 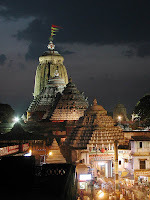 You might want to know who is creator of Puri Jagannath Temple and when the Puri Jagannath Temple was established / built? King Ananthverman of Eastern Ganga dynasty built Puri Jagannath Temple in 12th century. Puri Jagannath Temple is a very holy religious tourist place in eastern India (Orissa - near by West Bengal) and attracts millions of tourists every year during world famous festival Puri Rath Yatra of Jagannath - Subhadra - Balaram Jew. Where is Puri Jagannath Temple? Location of Puri Sea Beach Orissa? How to reach Puri Tourist Spots in Orissa? Puri Tourist Packages from Kolkata Bengal India? Tourist Spot Puri is well connected to all major cities in India through air-rail and roadways. Here is the short route map to Puri Tourist Spot that shows the ways to Puri Jagannath Temple & Sea Beaches from other Indian places. Biju Pattanayak Airport that is known as Bhubaneswar Airport of Orissa is very near to Tourist Spot Puri and well connected to all other Indian Cities via airways. Religious tourist spot Puri Jagannath Temple is situated nearly 60Km from Bhubaneswar Airport, Orissa. Railway station Puri, Orissa is a major Railway station and connected with most of all major cities of India. Puri is connected through many trains from Kolkata, Bengaluru, Nagpur and Ahmehdabad and here is some Train names for Puri - Puri Train Timings Ticket Price. Just a 60km distance between Puri Jagannath Temple and Bhubneshwar city of Orissa and well connected to private buses, Orissa state buses and many other luxury tourist buses from the main bus stand on Grand Road, near Gundicha Mandir, Orissa. The Buses can be hired to visit near by tourist spots of Puri like Konark Temple, Orissa and other sea Beaches at affordable Puri Bus Ticket price. Attraction of Puri, Orissa? Places to visit in Puri Orissa? Sea Beach Puri or Puri Jagannath Temple? Tourist Spot Puri isn't famous for the Jagannath Temple of Puri and Ratha Yatra festival in Puri; it's also well known for enchanting Sea Beaches in Puri, Orissa. The Puri Sea Beach is located on the Bay of Bengal Ocean and there are many other big & small Sea Beaches near by Puri main Sea Beach to visit. Check out the Sea Beaches near Puri - Beach Tourist Spots Orissa. Also one can visit by Bus to Konark Temple from Puri Jagannath Dham. Accommodation in Puri, Orissa? Resorts Hotels in Puri, Orissa? Where to stay at Puri Tourist place in Orissa? Puri Hotel Charges Rates Packages? In the Tourist Spot Puri there is no shortage of hotels and resorts to stay. Hotel Rooms in Puri are available from the minimum Rs.250 and goes up to Rs.10000/- per day depending upon the room facility (Puri Hotel Room Rent Charges). So, have set up your mind to have a Trip to Puri Sea Beach or a weekend tour to Puri Jagannath Temple? Then check out the latest Puri Tour Packages from Kolkata now. Orissa is famous for Sea Beaches and Jagannath Temple Puri. There are many popular sea beaches located in Orissa and all are near by Puri Sea Beach tourist spot. Here are few excellent Sea Beaches in Orissa apart from great Puri. Balighai Sea Beach is one of the famous Picnic Spot in Orissa along side a Tourist Sea Beach that is located within 8-9 Kms from Bhubaneshwar City of Orissa. 15-Km from the famous city Bhubaneswar, the most beautiful Sea Beach Baleshwar is located and the Baleshwar Sea Beach of Orissa is a site of Shaivite shrine. Baliharachandi Sea Beach is known for Goddess Harachandi and located within 27 Km from the Bubaneswar city. Baliharachandi Sea Beach of Orissa is perfect for honeymoon couples, as it's lonely and beautiful enchanting sea beach. Read other famous Sea Beach Astaranga of Orissa for weekend short tour.